Denver Doctor - Board Certified Denver Physician Jonathan W. Singer, D.O. Denver physician Dr. Jonathan Singer understands when you just don't feel well. Are you anxious? Depressed? Tired all the time? Don't know what's wrong and not sure where to turn for expert medical advice and treatment? Maybe it's time to visit Dr. Jonathan Singer, one of the pioneers in combining traditional medical care and naturals treatments at his health care clinic in Denver, Colorado. In today's bewildering world of medical care, there are so many choices, it's hard to know where to start. Dr. Singer has the knowledge, skill and experience to help restore your good health. Click here to schedule a free telephone consultation with Dr. Singer to answer any questions you might have. What if you were to know one Denver physician with over 20 years experience that you could trust? One that could help you truly regain control of your health as well as help the whole family's health? Doctor Singer is a Board-Certified Osteopathic family physician and surgeon in Denver, commonly known as a D.O. Osteopathic Physicians have been practicing traditional as well as alternative medicine for over one hundred years. D.O. 's believe in searching out and treating the cause of disease, the importance of preventive care, diet and nutritional support. Most importantly, osteopathic physicians believe in helping the body to heal itself naturally with gentle osteopathic hands-on treatment. Doctor Singer's unique medical practice blends the best of traditional and alternative medicine to provide the most complete and comprehensive medical care available. Rid yourself of anxiety, depression, chronic fatigue - Forget using harmful anti-depressants. Most anxiety can treated effectively by eliminating chronic yeast overgrowth. Attention Deficit Disorder, Hyperactivity - Rather than using Ritalin, we deal with the underlying issue - usually food or environmental allergy. Denver Pediatrics - Give your child a healthy head start. For any issues NOT on this list, do not hesitate to call us at our Denver Doctor's office. In over 20 years of medical practice, please feel confident and realize that at some point we have dealt with almost every imagined ailment. We have probably worked with one like yours as well! For a complete list and description of all the alternative therapies Doctor Singer's Denver office offers, please call our office. Please take your time exploring the constantly growing amount of FREE health information on this site, and on behalf of myself and my staff, I'd like to personally thank you for visiting "Denver Doctor"
If you have any questions at all about our services, or how we can help you take back control of your health and your life, please do not hesitate to contact us with any questions you might have. 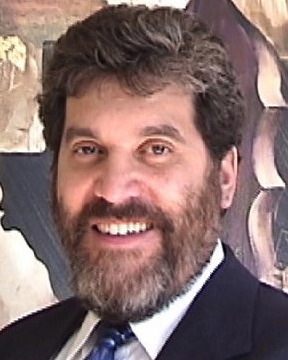 Dr. Jonathan W. Singer, D.O. Aurora, Arvada, Broomfield, Cherry Creek, Cherry Hills Village, Castle Pines, Castle Rock,Centennial, Commerce City, Denver, Englewood, Greenwood Village, Highlands Ranch, Littleton, Thorton, and Westminster. Our Process at our Denver Doctor's Office is simple: to get you well. Learn a little more about how Dr. Singer's approach works to get you feeling better. Scheduling an appointment with Dr. Singer is as easy as filling out our Easy Appointment Form. Also you may ask a short question here. Read about all the different ailments that Denver Doctor Jonathan Singer, D.O. treats, naturally. Read how a doctor of osteopathic medicine can help you heal faster with a doctor that treats a whole person, not symptoms. Denver physician Jonathan W. Singer provides FREE health info, and practices family and general medicine in Denver, Colorado. Greenwood Village Location. Denver Family Practice - Dr. Jonathan W. Singer, D.O. Discover common symptoms of menopause and learn the detailed approach used at our Denver doctor office. We also provide phone consultations. On this page you will find our Denver doctor office hours and how to schedule an appointment with our doctor in Denver. Location, Map, and Directions to Both Our Denver Doctor and Wyoming Office Location s.
Dr. Jonathan Singer, D.O. is part of the Health and Wellness Network.